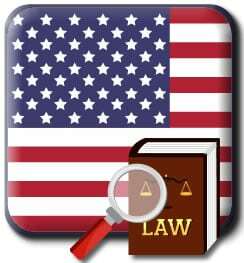 The Unlawful Internet Gambling Enforcement Act (UIGEA) became law in 2006. The law does not prohibit or criminalize online gambling participation. The primary objective of this legislation was to place stringent regulation on how online gambling transactions are processed. This regulation targets online gambling site operators and not the players. The operators are responsible for making sure that their banking processes adhere to the regulations put forth in the UIGEA bill. Most individuals who have participated in online gambling in the last few years were aware of the Poker Black Friday in 2011 in which the US Department of Justice seized several high profile online poker sites. The investigation was targeting the operators who were suspected of not adhere to the UIGEA law, and no investigation or prosecution involved players or customers of the poker sites. Some players saw their accounts frozen at those sites and temporarily did not have access to funds which they may have deposited into those accounts, however as of this writing most players have received their funds and any restitution due them has either been paid or is in the process of being paid to them. Players were not the focus of the investigations by the DOJ during Black Friday, nor is there a history of state or federal law enforcement seeking to investigate or prosecute US residents who participate in online gambling that is legally licensed and regulated outside of the United States. The essence of the UIGEA law is to protect players and their money, and require operators to adhere to ethical banking processes. It was not designed to harm players or to prohibit them from participating in online gambling. Upon passage of the UIGEA legislation in 2006, several online gambling sites and their payment processors exited the US market. Several of those brands returned after a period of time once they evaluated the landscape and how it changed following enactment of the law, while others chose not to return and jump through the regulatory hoops required in order to welcome US players. After the 2011 Poker Black Friday, several poker brands and their payment processors exited the US market. Those situations are still being sorted out and we will not see the full fall out and/or return of certain brands and payment processors until all investigations and dealings have been settled. Did the UIGEA Law of 2006 Make It Illegal For US Players To Gamble Online? No it did not. The UIGEA bill does not prohibit US players from participating in online gambling. In fact, the bill is not directed at players at all but rather places strict regulatory oversight on how online gambling transactions are processed. While this did cause some shifting and changes regarding the selection of brands that US players had access to, it also brought about some positive changes in the industry overall. Many sites improved their security profile and their banking suite processes, and raised the bar when it comes to how they are processing online gambling transactions. Operators invested in the high quality, secure, and reliable payment processors that use enhanced security when processing credit card approvals to add even more protection to the sensitive financial data that players use online. Overall, participating in online gambling for US players is much safer and more secure than ever before as long as players do their due diligence in selecting a legal and secure gambling site. While the UIGEA does not specifically address it, it is not legal to own and/or operate an online gambling site in the United States except in those states which have expressly legalized online gambling in some form for their residents and visitors. As of this writing, Nevada, Delaware, and New Jersey have all passed legislation legalizing online gambling in some form for their residents. Other than those three states, there are not any state or federal laws legalizing state based online gambling, or prohibiting or criminalizing offshore online gambling for US players. Since for most of the United States online gambling sites cannot be licensed, regulated or based within the US, most players must select a trusted, secure, and legitimate offshore gambling site at which to play. There are some high quality, legally licensed, certified and regulated options out there which welcome players from the United States. These include USA friendly online casinos, online poker rooms for US players, and online sports betting for American players as well. The gambling industry has even embraced United States bingo sites that are based outside of the US but that welcome American players. Where Can I Find Online Gambling Sites That Are Legal and Adhere To the UIGEA Laws? Is the site legally licensed and compliance certified by a legitimate and respected governing jurisdiction and subject to auditing and strict regulatory oversight? What does the site’s security profile look like? Does it mirror world class financial institutions when it comes to SSL coding, data encryption, fraud prevention, and firewall protection? What is the site’s reputation among players and industry professionals? What software platform do they use, is it reliable and consistent in its performance? Is it feature rich with a user friendly interface? Is game selection substantial? Is it subject to auditing by independent testers for compliance of their RNG technology and fair gaming practices? Is their customer support knowledgeable and responsive? Is their banking suite flexible with US deposit methods and fast payouts? Do they offer player incentives and rewards that are attainable and meet industry standards for wagering requirements and play through requirements? This is just scratching the surface of a comprehensive review process, we actually dig even deeper into a brand. We take our influence in the industry very seriously. We understand that the brands on this site must be without fail safe, trusted, and reputable brands that will provide a secure gaming experience for you every time you visit. We spend an enormous amount of time ensuring that the sites we include are legal and legitimate as well as high quality. United States players do have legal online gambling options, and we want to provide accurate and up to date information concerning those options to ensure you are only accessing the legal options for Americans. Each state that you see in the left hand menu has a page dedicated to the gambling laws for those residents, as well as pages dedicated to the various online gambling platforms available. You’ll be able to find out state specific information on any of those venues through this guide, as well as find out how the UIGEA bill affects players on a state level. You can also visit our page dedicated to United States online gambling laws for a deeper look at the way the UIGEA law affects players on a federal level and which other laws come into play.